Reborn Dolls have been getting a fair amount of coverage in the news, most of the stories told for shock value and entertainment. When you look a little more closely at the stories, there isn’t anything shocking about them – but fascinating. Reborn Dolls has grown into a highly specific sub-culture that is providing many women with a unique form of solace, grief support, stress release, and/or a much needed outlet for their desire to care. The fuss really centers on the fact that the Reborn Baby Dolls are made so well. 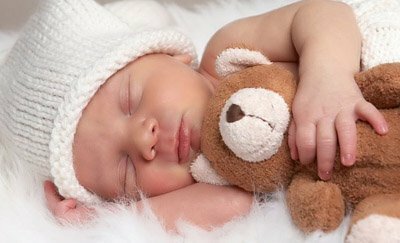 Each doll is hand crafted to be a unique replica of a newborn child. Buyers “adopt” the doll, and costs can reach into the thousands – but most come in around £200. The fuss is in the realistic appearance of the dolls. As their owners carry them around, or drive them around in real car seats – they have often been mistaken for real infants left in what could have been dangerous situations. Here is the funny thing, the women who own the dolls never lose sight that the doll isn’t alive. They can’t be faulted for leaving a doll in a car on a hot day. That’s ridiculous. It’s the shame/shock of the person who first thinks it is a real child left in a hot car who finds out it’s a doll that fuels any outrage – when there is none there at all. Why are some women drawn to Reborn Dolls? The off demographics of the Reborn Dolls tell only part of the story of why they are so attractive to some women. The buyers are typically white, conservative and Christian women. This is a demographic that values childbearing and rearing highly. For women who cannot conceive, have lost a child, are past child bearing age, or cannot support having more children – the dolls are a way to preserve and protect the integrity of their identity. 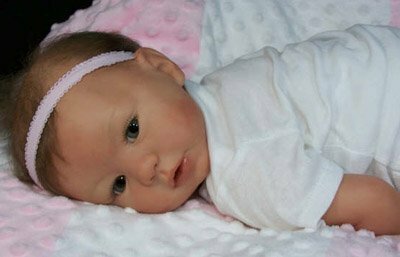 Reborn dolls are about much more than collecting, they are about healing. Psychologists are torn about the helpfulness of the dolls. They recognize, as does the rest of the medical profession, that cuddling a doll can cause the body to release hormones that promote relaxation. For those who have lost young children, the doll can become a way to transition from grief back to life. For many collectors though, the issue isn’t about grief or stress. Some people are more naturally inclined to caring and nurturing a child than others. For them, having a baby around almost feels like a necessity. The choice is suffer from a lack of opportunity for caring, have more children, or indulge in a Reborn Doll. The act of caring for the doll, dressing it and play-acting with the doll can be as engaging as doing the same with a computer game avatar. The main difference is you can hold this avatar in your arms.